Writing a will is something that we often think about and remind ourselves that we really ought to get round to, but never actually do. Although this is completely understandable and we don’t like to think about what would happen if we were not here, many of us don’t realise the severe consequences for those you leave behind if your will and estate is not in order. Specify whom you with to inherit your estate, in what order and in what proportions so that you have comfort in the knowledge that your wishes will be carried out. Make specific legacies to family or friends or gifts to your favorite charities. Set up maintenance trusts for children to protect their inheritances until and age specified by you. At Taylor Hall Financial Services, we work closely with you to understand your family situation, and our experience and level of technical excellence will guide you through the process of providing for the people you leave behind. 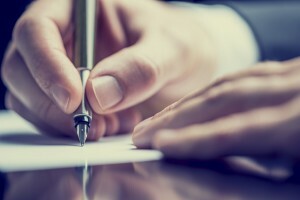 We are Associate Members of the Institute of Professional Will Writers through APS Legal, and holders of Indemnity Insurance, meaning you can rely on us to prepare your will to the highest standard.